We advise you to keep the amount of accommodations as low a possible as the stage towns Seefeld & Leutasch as well as Wildermieming & Nassereith & Imst are situated very close to each other. Best case would be two different accommodations. One place for the time Seefeld and Leutasch and the second place for your stay in Wildermieming/Nassereith/Imst. Following all different options for accommodations, bookings, shuttles and transportation is mentioned in detail. If you have any questions please contact us via Mail info@planb-event.com or phone +49 89 65 12 99 34. For all participants and their accompanying person offers our partner, HOST, a very specific service. You have the possibility to book a complete accommodation package about the HOST GmbH for all destinations of the SALOMON 4 TRAILS 2019. This service saves a lot of time searching, booking and billing with appropriate accommodations. You can choose different packages. As a professional supplier of travel service with years of experience in travel management, the HOST GmbH chooses the most suitable accommodations for you. Book your package with HOST now! Book your hotel package including the shuttles now! If you are booking the hotels on your own without choosing the offered packages we advise you to contact the tourism offices in the respective stage towns for the best hotel options. Please remember to secure yourself the shuttle package, for all options check the shuttles further down. For trail runners traveling from Israel our partner Gran Fondo offers exklusive packages. Please contact them directly for the travel & event packages. You can book your shuttle package for Leutasch for 15,- € with your online-registration or via email to info@planb-event.com. 10. July 2019: shuttle in Leutasch from the finish to the hotels. Shuttle from the hotels to the pasta party and back. 10 July 2019: shuttle in Leutasch from the finish area to the accommodation. Shuttle to the Pasta Party from the accommodation and back. 11 July 2019: Shuttle from the accommodation to start (Leutasch). Shuttle from the finish area (Wildermieming) to the accommodation, from the accommodation to the Pasta Party (Nassereith) and back. 12 July 2019: Shuttle from the accommodation to the start (Wildermieming). Shuttle from the finish area (Nassereith) to the accommodation, from the accommodation to the Pasta Party (Nassereith) and back. All participants receive their SALOMON 4 TRAILS event bag including a bag number with their starter package. To guarantee a smooth luggage transport from stage town to stage town please make sure you use this specific bag for the SALOMON 4 TRAILS. The luggage transport from stage town to stage town is in your services included. That means we will make sure your bag travels from the starts to the respective finish lines. The luggage transport to your accommodation is not included. Please make sure to use one or more of the offered shuttle package options which include the transport of your luggage as well. Camp sites for the Olympiaregion Seefeld, stage towns Seefeld & Leutasch. Campsites in Imst are suitable for the stages Nassereith and Imst. Program as of 01.11.2018, subject to change. Warm clothing (long-sleeved shirt and running pants) as insulating layers underneath the rain gear (in case of bad weather conditions which may set in suddenly in high mountain territory); basic rule: it is not allowed to see any skin! Water tank containing at least 1 liter. Also recommended: sun screen, sports glasses, fatty cream against chafing, additional supply of own food and beverages, blister tapes. The race organizers will perform random checks prior to the race start and at various check points on whether the aforementioned mandatory equipment/clothing is indeed being carried along. If mandatory equipment were to be missing, the participant in question will get time penalty or will be disqualified from the race. Achieve your optimum at SALOMON 4 TRAILS 2019: get sports massages and taping by professional physiotherapists of the Outdoor Physio GbR! Now it’s been nine years that Outdoor Physio has been an essential part of our events. Outdoor Physio is expert in accelerating your recovery after running. The treatments done by the professional and very experienced physios are specialized to your individual needs. You finished? The Outdoor Physio team is waiting for you next to the finisher zone to limber you up for the next day! Just follow the „Massage“-signs. Get your 20 minutes massage daily from noon to 5 pm! Due to the limited offer, we highly recommend to pre-book your massages online. By doing so you can save time during the event and choose your most convenient time. In Addition, there’s a discount for all Early Birds. Safety first is the name of the game. That’s why members of our MEDICAL CREW and/or public ambulance crews will remain at points along the course until the last runner has passed. If you get into trouble, call the medical info hotline or ask another competitor to do so for you. If things are acute, ask another competitor to provide first aid. Remember: every runner is obliged to help other runners in this way. Don’t worry about losing time – any delay incurred as the result of helping another runner in a medical emergency will be deducted from your time at the finish. In a natural environment there are often unpredictable circumstances which make it difficult or impossible to provide immediate medical assistance. This is where you, your own responsibility and your self-discipline come in. Please abandon the race too early rather than too late – if possible at a checkpoint or refreshment station. If you have recently passed one and are then forced to abandon, please turn around and go back to it. Be sensible. 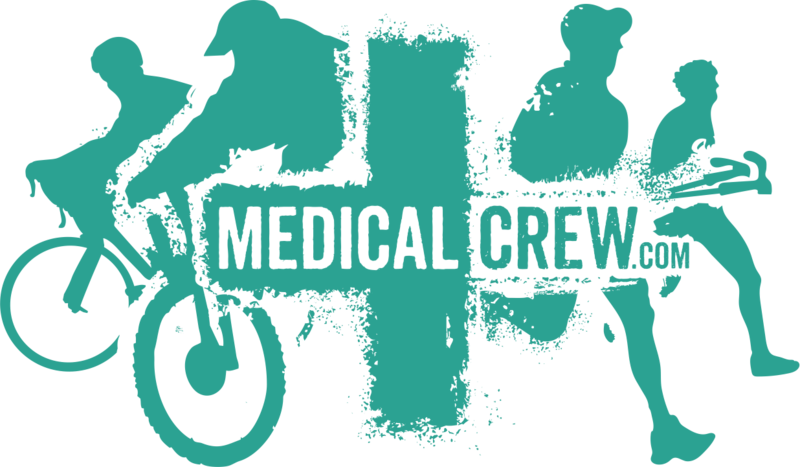 The members of our MEDICAL CREW have the right to withdraw competitors from the race at any time if they believe the runner will not be able to complete the race or will seriously jeopardise his/her health and/or the safety of the course team or MEDICAL CREW by doing so. Which other powers does the MEDICAL CREW have? They can carry out medical examinations and check if competitors have all the necessary safety equipment. They can transport competitors off the course using the appropriate means of transport and take them either directly or with the help of the local ambulance service to the nearest hospital if this is necessary. Please be aware that competitors must cover the costs of all rescue services apart from those carried out by the MEDICAL CREW.